A report in the forthcoming scientific publication “The Journal of Palaeontology”, describes the fossil evidence in support of a claim by a group of scientists that they have identified the largest known specimen of a bear in the fossil record. This “Goliath” of a bear, an American Short-Faced bear when rearing up on its hind legs would have stood more than eleven feet high, dwarfing all the Brown and Polar bears in the world today. This huge male is believed to have weighed in excess of 3,300lbs making it at least a third as big again as the heaviest bears known today. The South American Short-Faced bear (Arctotherium angustidens), lived in Argentina approximately 2.5 million years ago (Late Pliocene epoch). Soibelzon and his colleague Blaine Schubert of East Tennessee State University analysed the fossilised remains of the bear, which were originally discovered by construction workers in the 1930s and donated to La Plata Museum shortly afterwards. The researchers conducted and extensive study of extant and extinct bears and found that the most reliable predictor of body size in bears is based on seven particular bone measurements. The team then calculated the giant bear’s size using these bone measurements in conjunction with equations to assess body mass. The scientists think that the bear evolved to such a huge size due to the absence of other large carnivores in the environment. The Sabre-Toothed Cats and Terror Birds were also apex predators but not as bulky or as powerful as this bear would have been. With the abundance of big herbivores living in the region at the time, there were plenty of dinner options available for a bear with a giant appetite. 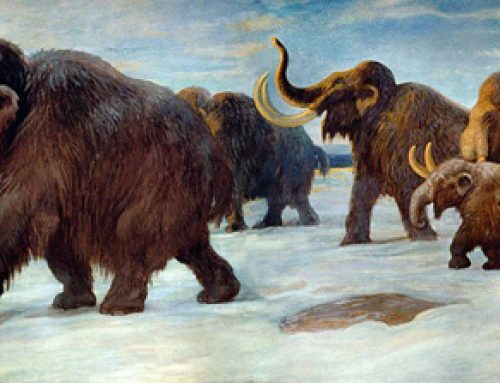 Such intra-specific competition between such large animals could have caused the injuries but also, if the bear had predated on mega fauna such as Megatherium and other powerful animals then the injuries could have been a result of attacking large prey. Disputes with other carnivores are also not ruled out by the research team, such as a quarrel with a pride of Sabre-Tooths over a carcase. The South American Short-Faced bear is part of a family of bears known as the Tremarctines. There is just one living representative of this family, the Spectacled bear, a relatively small species. However, during the Pliocene and later Pleistocene there were many large bears both in the Americas and in the Old World (Europe).